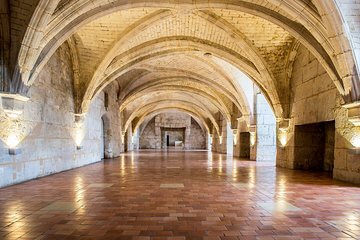 Both a historical landmark in its own right and home to Baron Otard Cognacs, the Château de Cognac is a worthy destination for history buffs and spirits drinkers alike. Meet your guide directly at the Château, which is conveniently located within city limits. For the first part of the tour, you’ll learn more about the landmark’s centuries of history, and will venture into its cellars. Then, continue with a guided tasting of Baron Otard VSOP and XO Gold. This tour is well worth the time and money. The tour guide was knowledgeable, spoke in English for our tour, and allowed us some wonderful cognac tasting experiences. The historical side of the tour, before it was a house of cognac, was a fascinating bonus. I would highly recommend this tour. Brilliant tour, beautiful chateau, delicious cognac! This was such a fun and memorable experience, we have booked to do it all again with friends! We arrived 10 minutes late due to road blocks as it was Bastille Day and were told we could not have the tour although it was only for us. There was a large group expected later and the two visits would clash. We then asked to have a shorter tour i.e. just 45 minutes and chose which part we wanted. What we saw was amazing but unfortunately, the guide's English was difficult to understand and often we had to ask him to repeat what he said. A visit worth doing so long as you are there on time and you have a good guide!